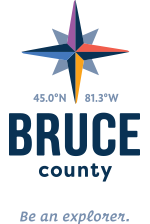 Bruce County’s capital and home to a spirited community. Walkerton is perfectly sighted on the banks of the Saugeen River. Cast your troubles away as you scout out the best fly-fishing in the region or try one of the Province’s premiere canoe routes. Not into water sports? Take a stroll downtown. Walkerton offers a variety of contemporary restaurants and plenty of retail therapy. Learn how to craft cider with the owners at Hoity Toity Cellars! Visit Southwestern Ontario's largest private garden at Folmers Botanical Gardens. Stroll through 30 acres of display gardens showcasing rare and exotic plants, ponds, waterfalls and even a labyrinth! Enjoy the wildlife along the Saugeen River Trail, the perfect spot to watch spring and fall spawning runs. Stroll by the historic Victoria Jubilee Hall, Walkerton Jail and Courthouse. Are your loved ones paddling down the river or fly fishing? Don't worry, downtown Walkerton is home to many boutique shops such as His Style, Kisses/Lifeology, Amazing Assets and MOMS. Find the best outdoor-living for your home or cottage at Walkerton's Water & Wellness. A&R Music offers a wide variety of musical instruments. Mildmay Cheese Haus is home to over two hundred kinds of cheese, including crumbly, ten year old cheddar, and samples to help you find your favourite. After a long day fishing or walking the Saugeen River Trail, Best Western Plus Walkerton and Conference Centre is the best place to unwind and float in the pool. Westwind Woods Bed & Breakfast is a newly built log and timber frame home on a 5th generation family farm offering gentle views of meadow and woodlands for rest and renewal. The beautifully restored Chepstow Inn offers a fabulous stay in rural Bruce County.